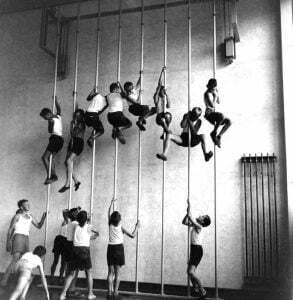 Everyone will have different memories of their physical education at school. Be it skipping lessons or getting covered in mud playing rugby, what is obvious is that physical education has long needed to change and evolve to match the times. This blog hopes to provide a brief insight into how physical education has evolved, where it is today, and the effect this has had on students. In the 1800s, P.E focused on gymnastics, hygiene and taking are of the human body. Although much of the end goals are the same, the way they get to these has changed substantially. P.E. has often been a great divider of pupils; those that are good at sport, and those that are not. This created a large body of students reluctant to participate. Given P.E class is designed to educate pupils on how to look after themselves, why is it that for so long that children have been skipping classes? Simply put, isolated physical activity does not suit the personalities of many people. Thankfully knowledge surrounding physical education has improved greatly. The focus on discipline and competition has shifted to a focus on participation, engagement, leadership and teamwork. Grading a student on their physical abilities will neither encourage them or help them. Educating a student to work as a team to reach goals is something that will help for the rest of their life. Additionally, the physical elements of P.E have also evolved. With greater research and knowledge, fitness has become focused on a wider variation of activities that use different movements and techniques. P.E today also emphasises the value of exercise in physical and mental well-being. This is because countless studies have shown that exercise can help overcome depression and improve concentration and work performance. All this in addition to the good routines that this can carry into adult life. The study of physical education is also essential for physical fitness, and physical fitness is a human need. The focus of modern P.E is on educating pupils on how to assess their own fitness and the importance of fitness on their future. With today’s obesity problem, it has never been more important for children to enjoy sport. Making exercise fun and educational will help pupils to prolong their commitment. This is where inspiresport gained inspiration. We provide tours for children to iconic stadiums not as a touring activity, but as sporting one. We believe that getting children involved in memorable exercise will inspire them for years to come. Another great example of this is The Daily Mile UK. This incentive gets primary children out of the classroom to complete a daily mile. The incentive states that by the fourth week, every child should be able to jog or run the full mile. This progression is something that will stick with children and inspire them to exercise to see improvement. The Daily Mile isn’t sport and it isn’t P.E, however, incorporating this into your teaching plan will certainly educate children on the benefits of physical exercise.Other great examples of how P.E. has changed are the rising popularity of physically active school trips. In secondary schools, these can be substantial trips (such as skiing) or less demanding options (such as surfing). In primary schools, this can be trips away, such as Urdd Cymru activity centres like the Llangrannog summer camp in Wales. For more information on physical education and our sports tours for schools, please contact your regional expert.